Right from the tone of Q1, Oliver was confidently in the lead. Florian, who had to start from P5 as he didn’t contest all the rounds of the 2018 Belgian championship, took over the lead with some aggressive driving. Then disaster struck for Ollie as he had an issue in the fast chicane and wrecked his body shell. This promoted Mitchell through to P2 with Ollie in P3, followed by Liam Van de Wouwer (ARC) and Steve Lambrechts (Xray). In Q2, Ollie settled the score and took the round with a blistering pace. Florian was only 0.8 of a second back with Steve claiming a nice P3 in front of Mitchell and Liam. Ollie was however not happy with his car, reporting permanent oversteer. It was clear to that Ollie’s car was not performing at his best as he had to let Florian through after a handling issue with his car. 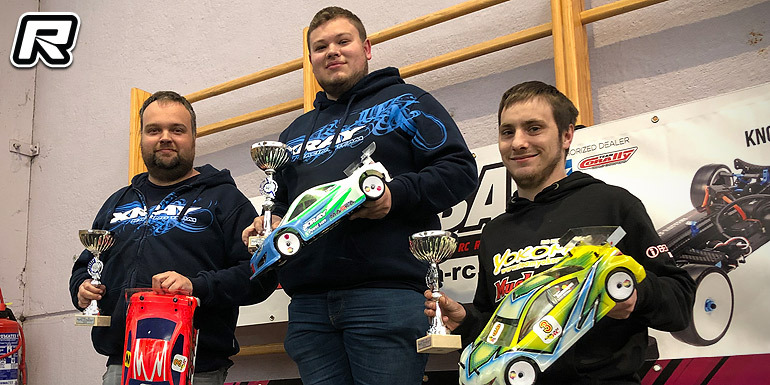 Florian was on point to claim his maiden mModified TQ in a Belgian national. He gave the spectators however one more hairy moment as he continued to push his car. When Rico Claeys hit the boarding of the chicane, Florian did the same but was able to recover and keep his P1 position, so the qualifying order was Florian in front of Ollie, Mitchell, Steve and Liam. In order to solve his oversteer problems, Ollie tried a different set of Volante tyres for the finals. At the start of the final, he was able to follow Florian’s pace, but hit him when Florian got off the gas bit too early for a corner. Ollie waited for Florian to recover, but couldn’t keep up with his pace afterwards. Mitchell took P3 in front of the battling duo of Steve and Liam. A2 entirely went Florian’s way as he was able to take a confident victory. Ollie took P2 in front of Mitchell, Liam, Rico (Xray) and Steve. Having already claimed his maiden Modified victory, Florian had to sit out A3, which Ollie dully won. Mitchell finished in P2 while Steve won the battle for P3 from Rico and Liam. Although there weren’t that many entries for Stock 13.5, the competition would still be strong as there were no less then three Belgian champions lining up on the grid. Q1 went 2018 Belgian champ Giovanni Moguez’s way as he beat 2017 Belgian champ Vincent Van Gansen by a fraction. Former champ Stefan Rommens put his Yokomo in third, but he was 4 seconds adrift. For Q2 and Q3 Vincent really upped his pace and took the overall TQ from Giovanni (both running Xray cars). 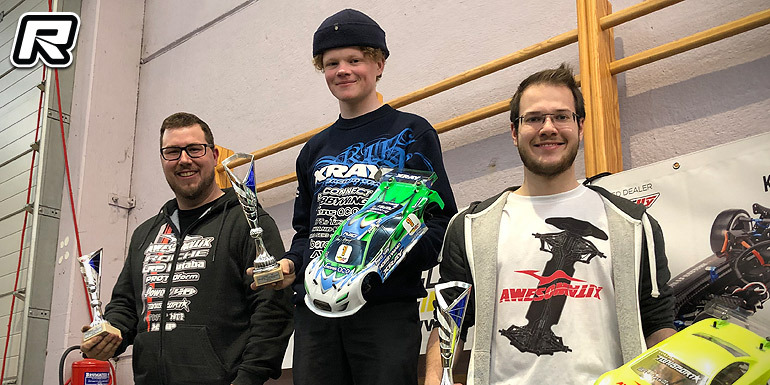 P3 went to the Yokomo of Stefan Rommens, but the star of qualifying was without any doubt young Yokomo driver Alexander Van Gansen. Although Alexander was about four seconds off Stefan’s pace, his inspiring drive impressed many spectators. Xray driver Jeremy Deram rounded off the top 5. Vincent and Giovanni were eager to fight for the first victory. When A1 started, it was clear that the battle was going to be fierce. Vincent’s strategy was based upon defending rather than attacking and this proved an error as Giovanni touched him coming onto the main straight. Giovanni waited in great sportsmanship, but Stefan Rommens already took the lead with Alexander in tow. Vincent and Gio were down the order and carving their way through the traffic when disaster struck again for Vincent. A backmarker traction rolled onto the main straight and third placed driver Xavier Debroye hit him hard while Vincent had to drive around the carnage, Gio retook P3. In the meantime, Stefan was consolidating his lead with Alexander Van Gansen following some three seconds further back. Then disaster struck for Stefan as a backmarker hit him and made his body collapse. Without any downforce, Alexander overtook him and was leading his first race for the Belgian nats. Giovanni was however not going to be sentimental about this and overtook Alex when he ran a bit wide over a kerp. Vincent in the meantime fought his way back to P3 and was waved through by his younger brother. Gio took A1 in front of Vincent, Alexander, a very gutted Stefan Rommens and Peter Degrande (Awesomatix). In A2, Gio again made a daring move and touched Vincent’s door. As Vincent was unsettled, he again waited while Stefan Rommens was accelerating like mad to grab P2. Vincent just held on to his lead while Gio was now in P3 behind Stefan. Gio clearly had the faster car, but Stefan kept his cool to claim P2 in front of Gio. Alexander and Xavier Debroye (Xray) rounded off the top 5. For A3, Vincent changed his strategy and decided to attack instead of defend. This paid dividends as he was able to carry more corner speed and started to build a gap. For Gio, it was all or nothing and he tried to follow Vincent’s pace. Carrying a bit too much speed through a corner, he traction rolled and gave Vincent the much needed break to claim A3 and the overall victory. 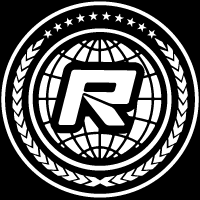 The final ranking was: Vincent Van Gansen (Xray), Giovanni Moguez (Xray), Stefan Rommens (Yokomo), Alexander Van Gansen (Yokomo), Jeremy Deram (Xray). The Formula class unfortunately only saw three entries. The three drivers however showed that the class is still alive and kicking with a great demonstration of class driving. ETS frontrunner Olivier Bultynck was running two classes and didn’t have enough time to exploit the full potential out of his Roche chassis, but young Liam Van de Wouwer really put up a good show. Liam had some issues with his Xray during the first two rounds, but struck back by winning Q3 from Kris Vanbleu (Xray). Liam was only four seconds adrift from Ollie’s best time. After having won A1, Ollie went even faster to win A2 as well, but Liam also upped his game. He finished within 2 seconds of Ollie after eight minutes of racing. The young driver was really pleased with this results and has high hopes for the outdoor season. Kris Vanbleu also drove good finals to finish within a lap of both top finishers. The introduction of the new and slower Fun spec motor class received a warm welcome by most racers. 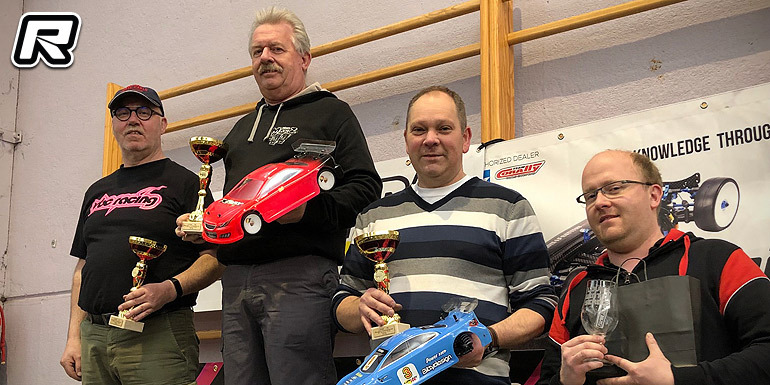 The new Fun class, a category aimed primarily at golden oldies, up and coming talents and hobby drivers, even had the most entries. Qualifying was dominated by Krist Bultynck. Krist was running an old VBC car and he dully put it on pole in front of the Xray of Rony Claeys and the Yokomo duo of Herman Van Gansen and Marc Joosens. Young Aaron Vandepoele put his Team Magic on a fine 5th spot on the grid. During A1, Krist was dominating the field. With only one minute left, he made a crucial error which allowed Rony through to take the lead. Rony held on to his lead to win A1 in front of Krist, Herman, Claude Gyselinck (Tamiya) and Aaron Vandepoele. With a win in A2, Rony sealed the overall victory. Krist took P2 in front of Herman, Aaron and Kenneth Meisters (Tamiya). In A3, Krist dominated the field like he did in qualifying. Rony held on to his second place and finished in front of Herman, Thierry Baekeland and Aaron Vandepoele. 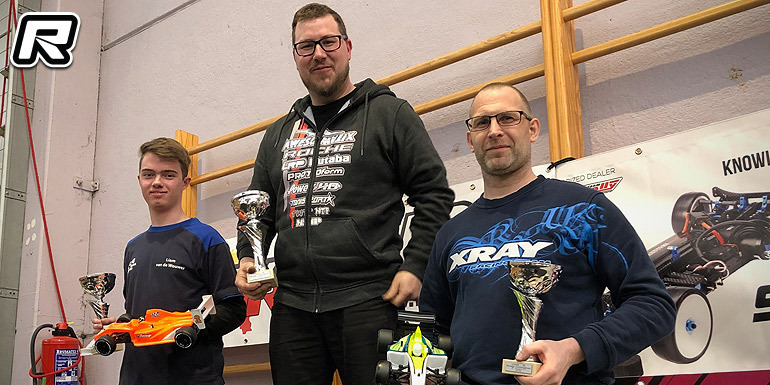 The overall ranking was Rony Claeys (Xray), Krist Bultynck (VBC), Herman Van Gansen (Yokomo), Aaron Vandepoele (Team Magic) and Claude Gyselinck (Tamiya).